I love baking things which look pretty. However, no matter how pretty you make something it still has to taste good – at the end of the day it’s food and you’ve made it to be eaten. 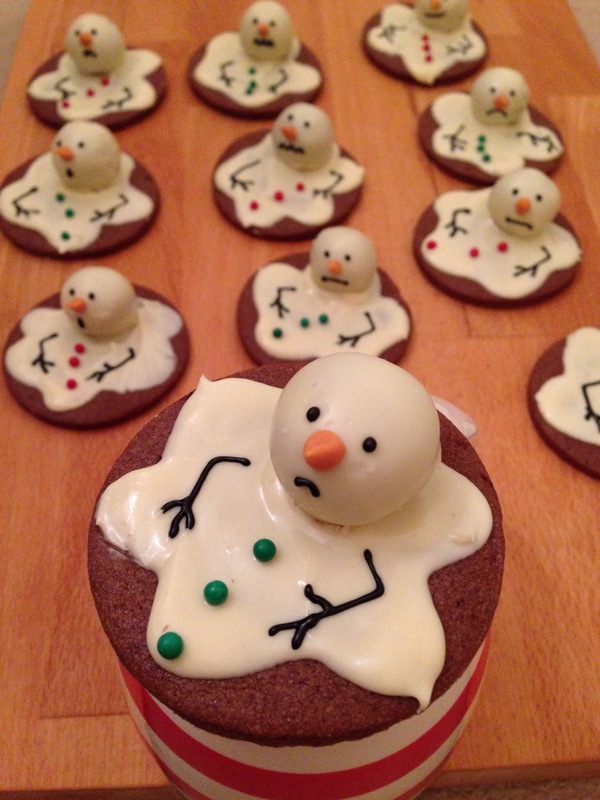 It can be easy to decorate something with loads of icing to make it look amazing but all that does is make it taste sweet. If possible, I would much rather decorate a cake or biscuit with something that adds to the flavour rather than masks it with sugar. 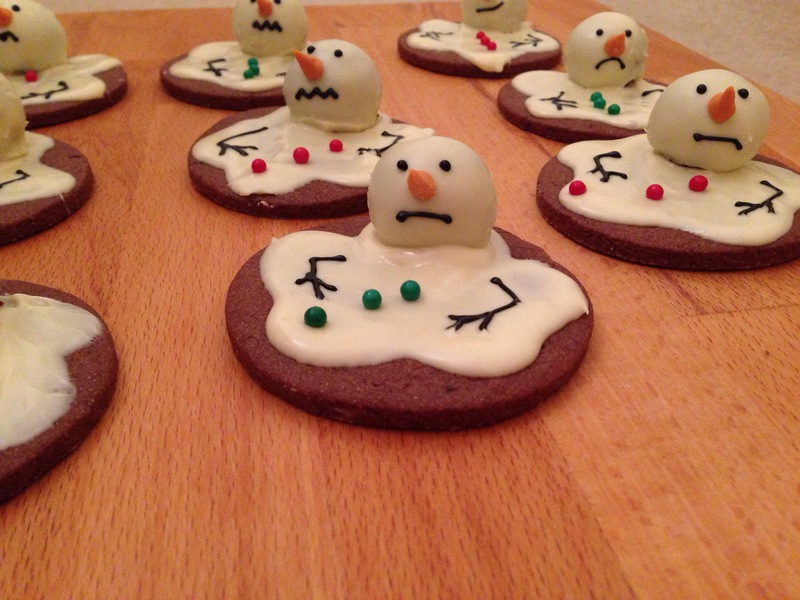 I have seen these melting snowmen biscuits all over Pinterest, but the fact that they appeared to be a biscuit covered in icing with a lump or icing (or possibly a marshmallow) for the head, put me off making them. No matter how tasty the biscuits are, if you add that much icing to the biscuits then all you’ll taste will be sugar. So I came up with an alternative. I completely agree with your thoughts on taste being as important as appearance, I feel exactly the same when it comes to heavily iced cakes where all the decorations are made of sugar – may be edible but you wouldn’t enjoy eating it! 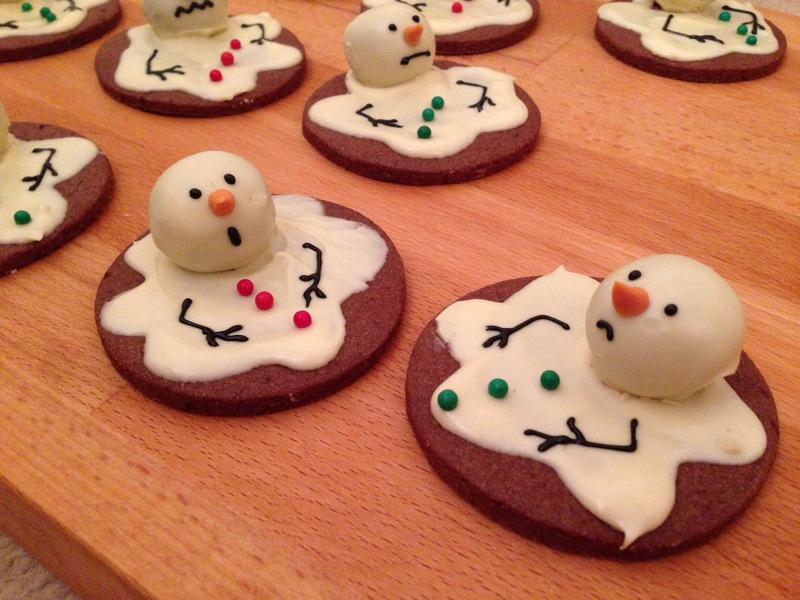 Amazing job, they look lovely and I’m sure very tasty!! Thank you 🙂 they definitely were much better than just a biscuit with icing on! thank you 🙂 I think next time I’d make the biscuits odd shapes too rather than circles!